What happens when you have five kids, numerous dogs and cats, and a life filled with homeschooling, friends, family and fun? I was going to say it means mama needs a long vacation all by herself, but I’m actually talking about my home! 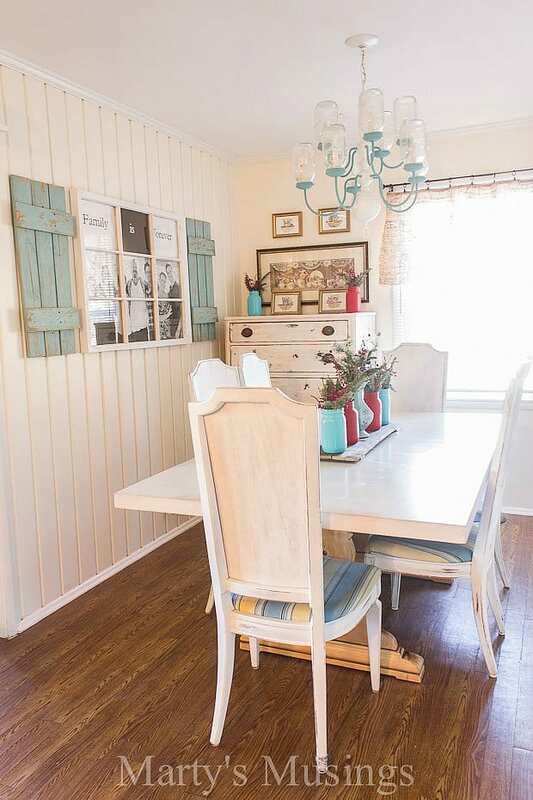 If you’re not familiar with the story of our 1950’s ranch home (take the tour here) this is the only home my husband Tim and I have ever owned. Some day I’ll tell the crazy story of how we bought this house when we were poor as church mice, with no down payment, (using my car as collateral) from a used car salesman. Oh yeah, sounds like a predictable Walden family story! 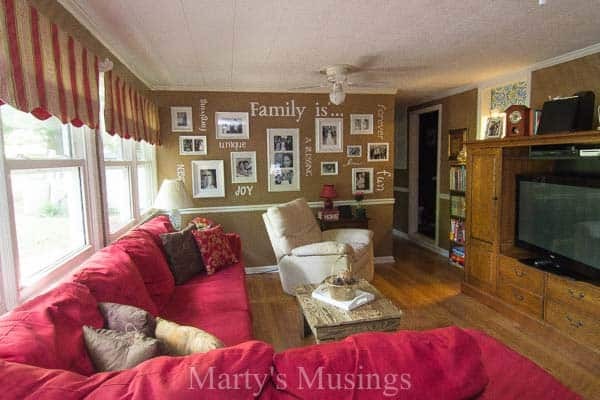 We’ve lived and loved in this home for 25 years and 21 of those years were spent with the same carpet throughout most of the house. How many kids did I say we had? I KNOW. It was unbearable but when you have more love than money you throw an area rug on top of the old carpet and hope no animal or kid pukes on that one! Finally about five years ago we were able to replace the carpet in the back of the house with laminate flooring and it was ah-mazing. As for the front of our house? Yikes. Tim refinished those floors and they are just beautiful. Our living room and kitchen? Not so much. It’s a combination of hardwoods and peel and stick from 19 years ago. Yes, 19 years ago. Try not to look too close. Up soon on the DIY list is to replace the floors in both rooms with laminate flooring so we’ve been looking around for our best options in choosing flooring. What type of flooring is best? Should you go with carpet, hardwood or tile? So many options today! Spend some time looking online before you go into the store to educate yourself on your choices. Shaw Floors has all kinds: carpet, hardwood, luxury vinyl, laminate, tile & stone, and custom rugs. 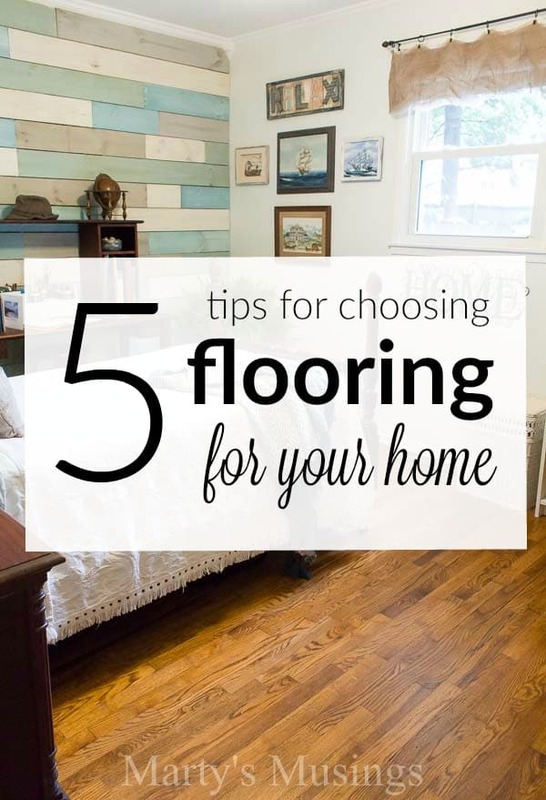 Where are you going to be using the flooring in your home? Is it a highly trafficked area or more secluded like a guest bedroom? This factor may help you determine if a hard surface is better than carpeting. How much traffic does your home see and what kind? For us, there have obviously been loads of people and pets tearing through the house for many years. Our poor carpet just flat wore out! Make sure you think through your long term needs before you purchase your product. 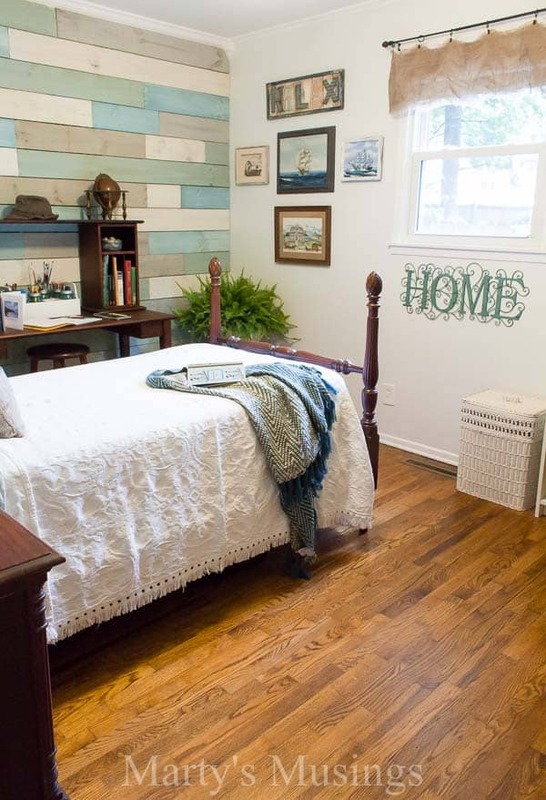 Is the flooring simply to cover up what’s underneath (if it’s ugly or like in our den, a concrete slap) or maybe an area rug to protect something valuable (hardwoods from rowdy kids and dogs)? Each room in your home may have a different function and that’s perfection fine. It’s your home so make it your own! Hardwood floors are wonderful but they do show wear and tear and are a pricey choice in flooring. We love our laminate floors and love the finishes available now. Plus, the price appeals to our budget as well! For more inspiration check out the Shaw Floors inspiration gallery. We are in the process of replacing all flooring in our house now. The first areas were supposed to be done today but due to a screw up by one big box store, we got the wrong estimate so now phase 1 won’t be finished until next week. The good side is we discovered that we like the people doing the flooring and have found out a way to just use them and not the big box store for the rest of the house. By the way we started this process on July 15th. I though we were going to be mostly done by now not just starting. Hi, Abrianna. Don’t you love that all home projects take so much longer than anticipated? I’m so sorry you had issues with your flooring! Our next big DIY is a large area and my husband’s only helper is me so that should be interesting! Thanks for stopping by the blog! You make a great point to consider the durability of the floor and how much traffic your home sees. My sister wants to get new floors in her home because she’s sick of what she currently has, and she thinks it looks kind of outdated. I think it would help a lot if she could talk with a professional to learn about the different kinds of flooring and which would be best for her high traffic home. Thanks for the tips for choosing flooring. We’re looking to remodel our outdated living room, so this is great. I’ll be sure to look into laminate floors if they really are that amazing.